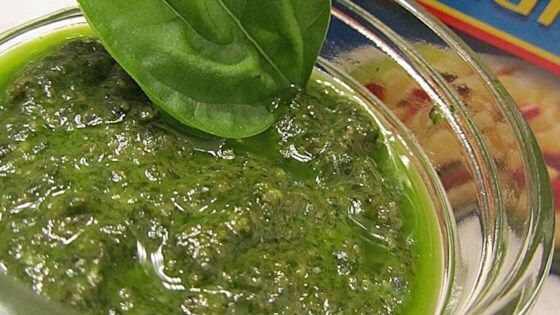 "Basic pesto, made with basil, olive oil, pine nuts, and Parmesan cheese. This recipe differs from the classic preparation by the addition of parsley. You can add a little extra Parmesan to the mixture if you like."